It is that time of the year when the entire city of Kolkata turns into a vibrant new world of joy and happiness. The streets are adorned with beautiful lights, the people decked up in their finest and newest clothes – it so appears as if the city has been awoken from a year long slumber. It’s time again for meeting old friends and making new ones and spending some quality time with one’s family. It’s Durga Puja once again, which gives us the perfect opportunity to send out wishes and express our gratitude to all the people around the world. 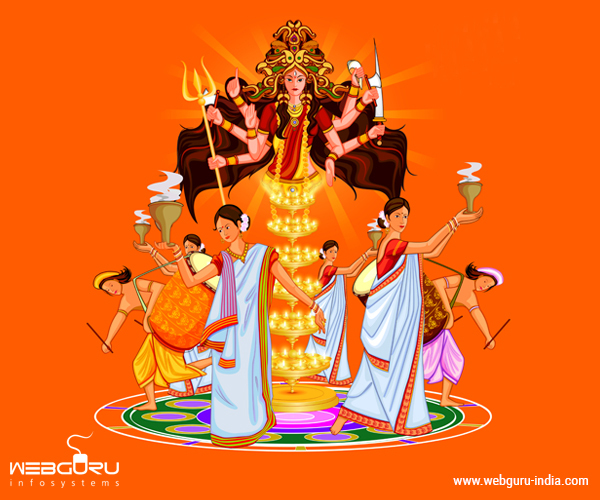 May the Goddess shower you with joy and prosperity.